We recognize the power of art as a means of communication and seek to foster children's creative development through the use of innovative materials . We will study multi-ethnic methods and expose our students to the expression of human emotions through the arts. If we as educators truly believe that our young students are competent and powerful, we must seek to provide them with authentic materials and methods that will promote creative expression and representation. As we study and expose children to the different artistic influences from around the globe, we will provide the opportunity for children to personalize their experiences and foster their creativity . Materials and tools that invite children to invent and make discoveries will be offered. 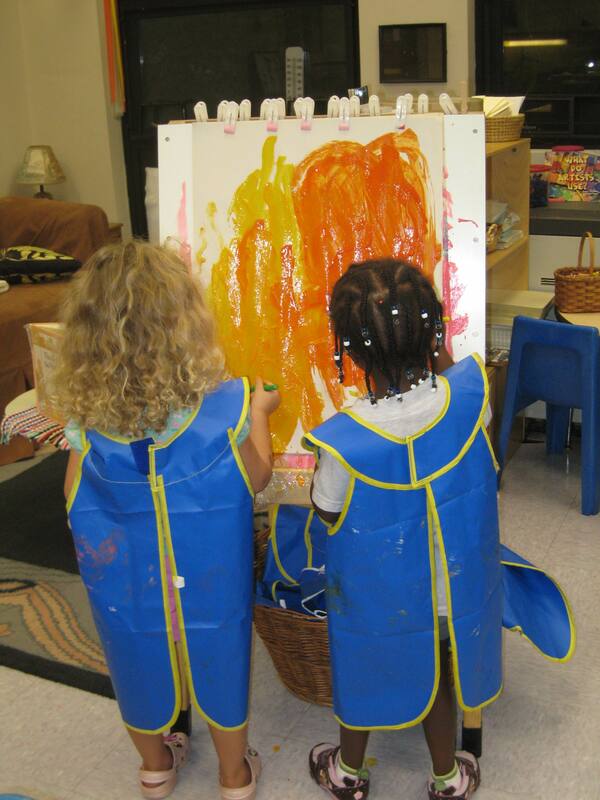 Children will be encouraged to explore ideas, objects, and materials in open ended ways. As a result of this project we will create an art curriculum for young children that can be implemented by the Early Childhood Education students at Bergen Community College. In addition, we will create indoor and outdoor children's art galleries with exhibits on campus and on the web. The web gallery will be open to collaboration with schools from around the world. The staff at the Child Development Center will create a multi-ethnic art curriculum that will utilize the materials, methods and traditions of the many cultures that are represented at Bergen Community College. In addition, we will create an online art gallery that will invite and include our friends from around the world. (Currently we are in communication with children from Mexico, Canada, Turkey,Peru and many states from across the USA) We also encourage and seek to include the contributions of faculty, BCC students and the community.